Vernon families and those of the Tri-City area choose Chiropractic Center of Vernon. 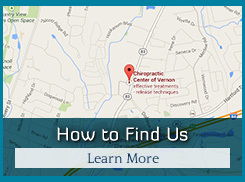 understand what chiropractic is, what chiropractors do and what you can expect in our office. surrounding community, whether they want relief or wellness. Very professional and courteous. Took the time to explain the process. I was very comfortable. I can’t believe I waited so long to go to a chiropractor. In just my first visit with Dr. Dave, my back feels better already and I look forward to continued improvement. Paula made me feel comfortable the moment I walked in the door. Dr. Dave and his staff are wonderful. I feel so much better and have hope for my future comfort and athletic endeavors! 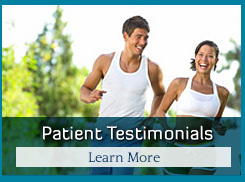 Knowledgeable professional and has a great understanding for patient needs. Staff at desk were also friendly and helpful. I found the explanation of why I have the pain I do helpful. Very clear and concise, and the Doctor is a good listener, which I think is a crucial element. I found this practice to be very professional and comfortable. I’m glad I was led to you! Thanks for the excellent care of my family. This was my first time at the chiropractor and Dr. Giacalone and his staff exceeded my expectations. I felt welcome from the minute I walked through the door and left feeling excited about my next visit. Thank you! DAVE the Doctor was very helpful He Explained everything with fine detail..Very Very Professional. My first call to Dr. G’s office was for an “emergency” visit and he quickly fit me in during his lunch break. I continue to be impressed with him and his staff ever since! 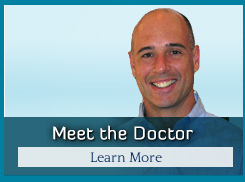 Dr. Giacalone was very friendly, personable and helpful! I am excited that I found a good chiropractor who is also an athlete himself! Looking forward to solving my issues.